Carter has been hooked on kiteboarding since 2001 and likes teaching as much as riding. Wave riding and boosting big air with some stylish spins are his favorite riding style. 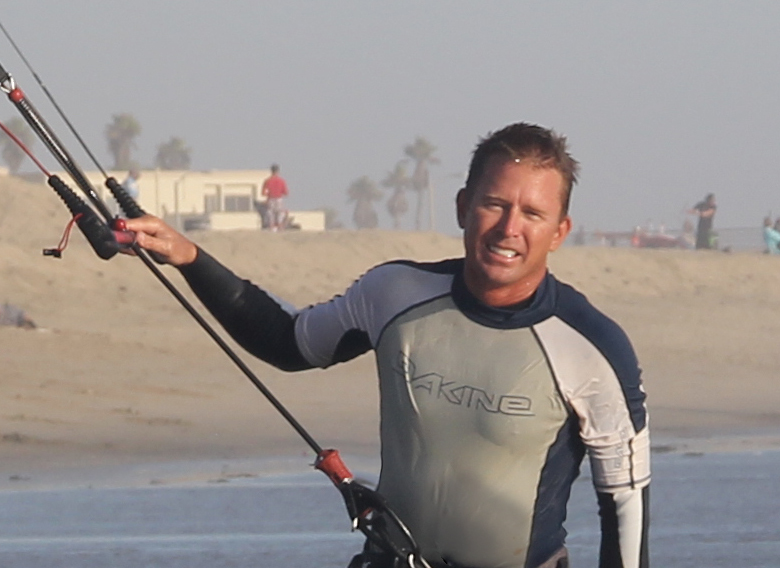 He has been a lead instructor for a well known California kiteboarding school for many years and has taught many of the kiteboarders you see today kiting in the Southern California area. Carter is currently active in many sports such as motocross, mountain biking, BMX, RC sail planes, photography, videography and has a good mechanical background, all of which all help him relate information to new students. "Being articulate and catering to each persons style of learning is what I enjoy most about teaching kitesurfing".